Milledgeville is really getting into the Christmas spirit this year! One of my favorite things to do during the Christmas season is to take in all the bright, festive lights. Twinkle lights, bright colors, blow-up Santas; you’ll find the works in Milly. 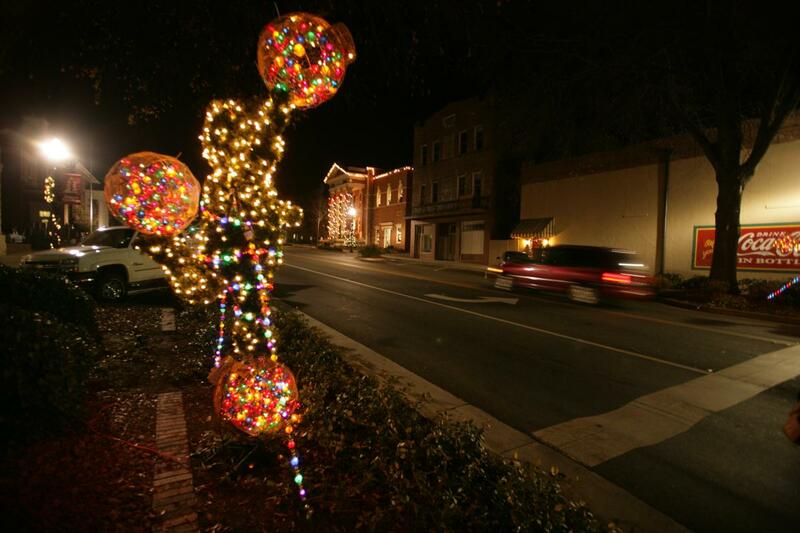 Use this guide that take you around town to Milly’s best spots for Christmas lights. Students are hard at work hanging garland and lights up on Georgia College’s front campus. Parks, Atkinson, Terrell, Bell and Ennis Halls will be adorned with beautiful garlands and Christmas lights in one of GC’s biggest traditions. The students and the community at large come together for the hanging of the greens. There is no better place to take a quiet, night time stroll than on front campus, admiring the wonderful lights and gorgeous campus. After admiring Georgia College’s holiday lights, stroll downtown to take in the lights and decorations lining the streets and shop windows. 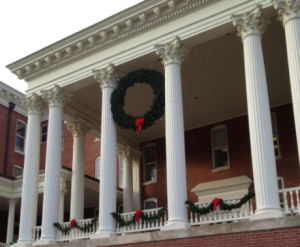 Milledgeville Main Street works hard to make sure that Downtown Milly is overflowing with Christmas cheer! You don’t want to miss the beautifully lit up Christmas tree right in the middle of downtown. In addition to all the lights, take a look at the window displays as you stroll, and maybe even pop into a shop to get a little Christmas shopping done. 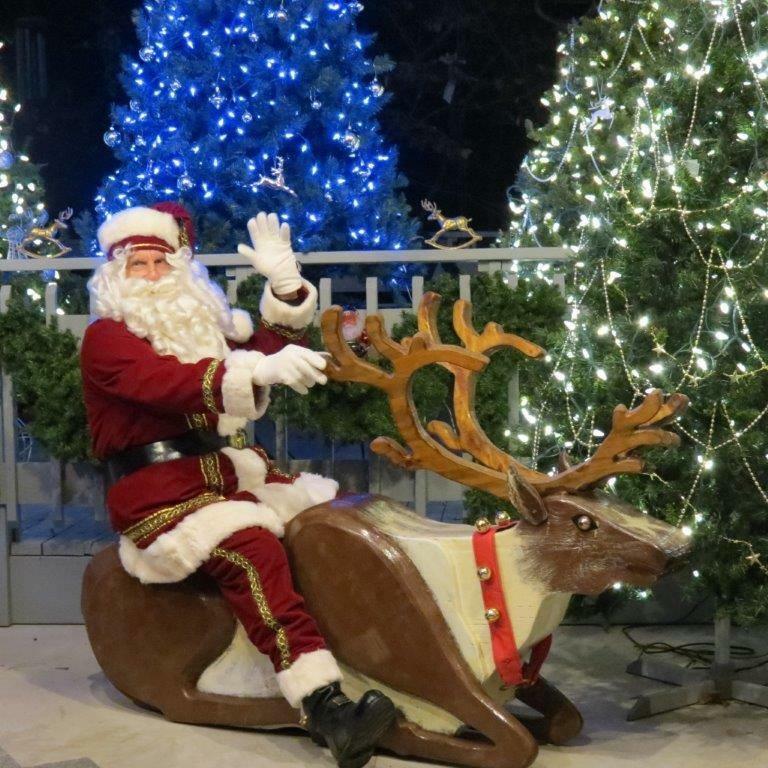 Many of the residential areas of Milly have incredible holiday light displays but the one you don’t want to miss is the Reindeer Flight School. Homeowner Richard Philips began setting up a big holiday light display with over 100 light up reindeer. Now, nearly 10 years later, the display is even bigger! With thousands and thousands of lights, the Reindeer Flight School is a local Christmas favorite.